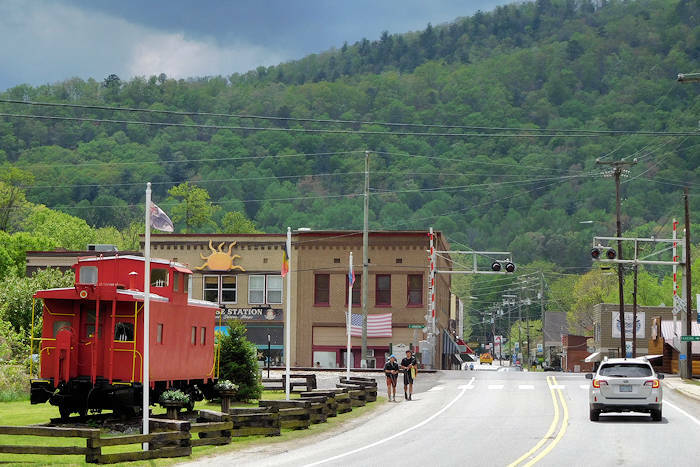 Hot Springs, North Carolina, (population 567) is perhaps best known for its hot mineral springs, but you can certainly find many other things to do! 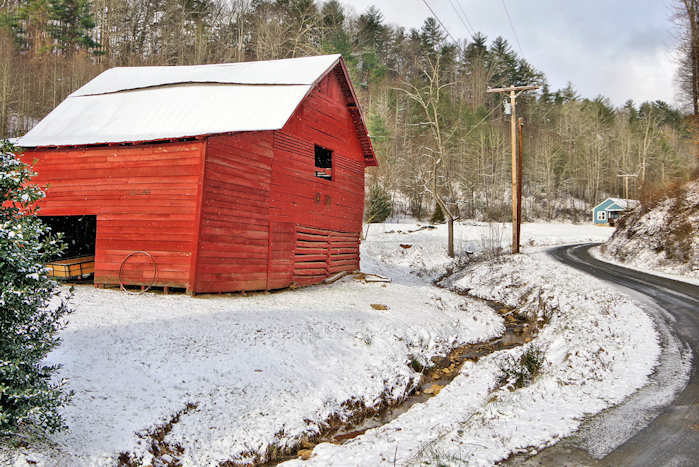 This village in Madison County is located just 40 minutes north of Asheville at the junction of the Appalachian Trail (goes right through downtown) and the French Broad River. 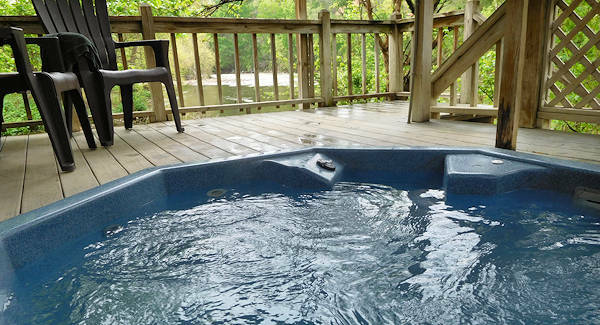 Surrounded by the Pisgah National Forest, Hot Springs is a haven for those seeking outdoor adventure, healing and relaxation, or a quiet romantic getaway. 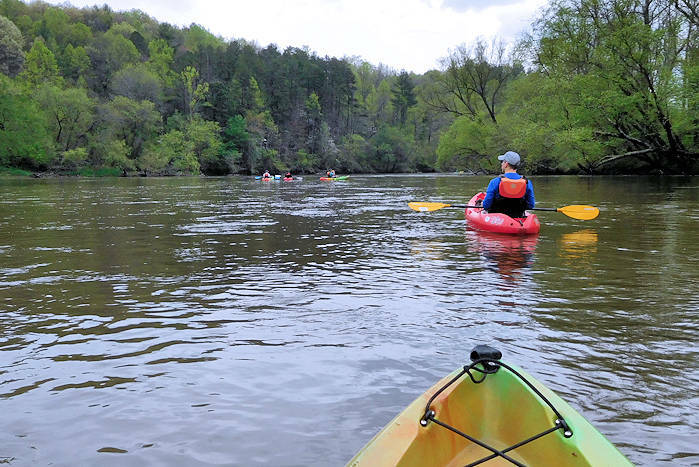 This is definitely the place for outdoor enthusiasts, especially since hikers on the famous Appalachian Trail walk through the middle of town and whitewater enthusiasts love the rapids on the French Broad River (see their Hot Springs whitewater rafting guide). The view of Hot Springs above is from the Lover's Leap hike on the AT (must do!). Go mountain biking, take a llama trek, fish a while or take a horseback ride. 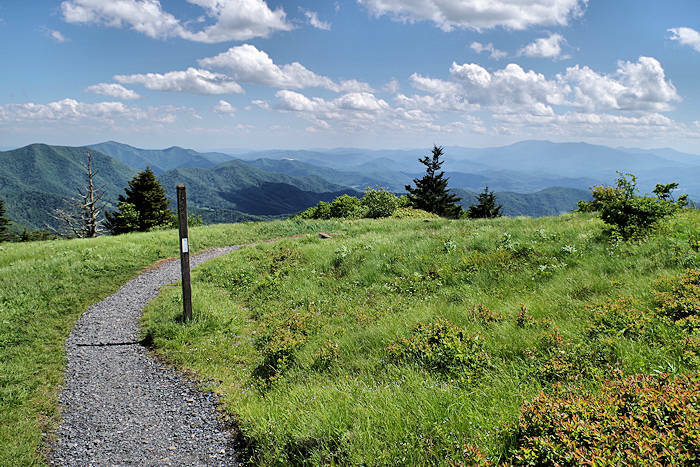 Or hike the grassy meadow atop Max Patch. And hike or drive to the Rich Mountain Lookout Tower. Soak in the natural hot mineral waters, heated deep within the earth at the legendary Hot Springs Resort and Spa. These crystal clear carbonated waters are world famous for their legendary healing powers. They pipe the water into modern outdoor Jacuzzi type hot tubs that are drained and sanitized after each use. They also have a staff of massage therapists and a campground. Outdoor mineral baths ranging from 98-102 degrees are available seven days a week, year-round. Read more about a soak. With dining that ranges from the gourmet lovers' fare to country cookin' to steak and seafood with adult beverages from local breweries, Hot Springs has foods to entice any taste bud. Go to the Hot Springs Web site for a list of restaurants. Specialty shops in town carry a variety of goods, from local arts and crafts at ArtiSun Gallery to outdoor provisions and fishing gear at Bluff Mountain Outfitters. 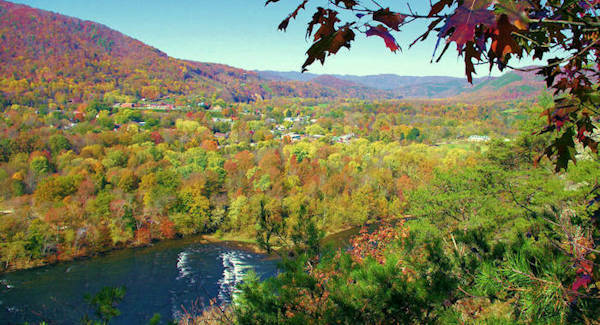 A wide range of accommodations await the weary travelers in Hot Springs, nestled in the Blue Ridge Mountains. Within this picturesque mountain town is everything from rustic camping or a hostel to secluded log cabin vacation rentals to romantic bed and breakfast inns. Go to the Hot Springs Web site for places to stay. The romantic setting of Hot Springs is the backdrop to many destination weddings and honeymoons. Stay in a quaint bed and breakfast, mountain cabin or cottage, stroll through the shops and dine in one of the local restaurants (no restaurant chains here). Walk across the bridge over the French Broad River (on the Appalachian Trail) for this spectacular view. From I-240 in the downtown area, take exit 4A onto Highway I-26W and U.S. 19/23 North toward Weaverville. Go 8.5 miles until you see a sign that says Hot Springs 2nd right (U.S. Highway 25/70). Follow Highway 25/70 North about 28 miles to Hot Springs, North Carolina. The town of Marshall is just 16 miles away (on the way from Asheville). See our Madison County Guide for more things to do nearby. 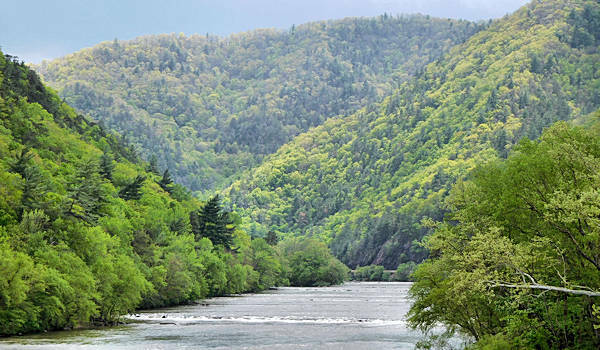 This grassroots festival in Hot Springs on the banks of the French Broad features some of the best music in the area, camping and outdoor events in celebration of this beautiful river.